We then moved to a second main question, namely, when will the rapture take place relative to the coming seven-year Tribulation period? We offered the contention that believers can develop certainty that they will be raptured before the Tribulation period occurs for at least seven reasons. First, the Tribulation period’s purpose concerns Israel rather than the church. Second, there is no reference to the church as being on the earth in Revelation 4–19. We now move on to our third argument favoring pretribulationalism. The third reason that the rapture will take place before the Tribulation period even begins relates to the fact that the church has been promised to be exempted from divine wrath and yet, the Tribulation period is an expression of divine wrath. A consistent New Testament theme is that the Church-Age believer is not a candidate for God’s wrath. First Thessalonians 1:10, “and to wait for His Son from heaven, whom He raised from the dead, that is Jesus, who rescues us from the wrath to come.” First Thessalonians 5:9 similarly notes, “For God has not destined us for wrath, but for obtaining salvation through our Lord Jesus Christ.” Romans 5:9 also explains, “Much more then, having now been justified by His blood, we shall be saved from the wrath of God through Him." 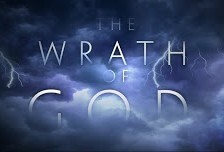 Thus, the wrath of God is a phenomenon that appears at the earliest part of the Tribulation period. Revelation 11:18 describes the future Tribulation as a period of divine wrath when it says, “And the nations were enraged, and Your wrath came, and the time came for the dead to be judged, and the time to reward Your bond-servants the prophets and the saints and those who fear Your name, the small and the great, and to destroy those who destroy the earth.” Revelation 15:1 similarly notes, “Then I saw another sign in heaven, great and marvelous, seven angels who had seven plagues, which are the last, because in them the wrath of God is finished.” Along these same lines, Revelation 15:7 says, “Then one of the four living creatures gave to the seven angels seven golden bowls full of the wrath of God, who lives forever and ever.” Moreover, Revelation 16:1 indicates, “Then I heard a loud voice from the temple, saying to the seven angels, ‘Go and pour out on the earth the seven bowls of the wrath of God.’” Revelation 16:19 notes, “The great city was split into three parts, and the cities of the nations fell. Babylon the great was remembered before God, to give her the cup of the wine of His fierce wrath.” All of these verses indicate that divine wrath will characterize the entirety of the coming Tribulation period. If the church is promised an exemption from divine wrath and the Tribulation period represents, from beginning to end, an expression of divine wrath upon the earth-dwellers, then it is quite plain that the church cannot be on the earth for any part of this horrific time period. It is perhaps for this reason primarily that Christ in Revelation 3:10 makes the following promise to the church at Philadelphia: “Because you have kept the word of My perseverance, I also will keep you from the hour of testing, that hour which is about to come upon the whole world, to test those who dwell on the earth.” It is noteworthy that the Greek preposition translated “from” in this verse is the word ek, which "carries the meaning separation from something." For example, this is the same preposition translated “out of” in Matthew 7:5, which says, “You hypocrite, first take the log out of your own eye, and then you will see clearly to take the speck out of your brother’s eye” (italics added). Thus, by the use of this identical preposition in Revelation 3:10, the idea is clearly conveyed that the church at Philadelphia will be kept entirely out of the great Tribulation in the same way a log must be completely removed from someone’s eye before he has the ability to completely remove the speck that is in his brother’s eye. In other words, the idea here is total removal from rather than sustenance or protection in the midst of. The notion that the promise of Revelation 3:10 is nothing more than preservation in the midst of the Tribulation fails to harmonize with what the remainder of the Book of Revelation teaches concerning the massive martyrdoms of this future time period (Rev. 6:9-11; 7:13-14; 13:10). How can Revelation 3:10 be interpreted as a promise of preservation in the midst of the Tribulation when so many of God's people are portrayed as experiencing a martyr's death at the hands of the beast? Many argue that this notion of an exemption from divine wrath represents nothing more than escapist theology. After all, if Christians throughout the world are suffering and have been suffering over the last two thousand years of church history, then why should we think that we will escape the coming Tribulation period? Some even go so far as to contend that the doctrine of pretribulationalism must be predominately an American-Christian doctrine since only in America have God's people been able to escape the persecution of Christianity that is so commonplace in other parts of the world. However, in a certain sense, the entire gospel message represents escapist theology since it teaches that those who place their trust in Christ are not candidates for experiencing eternal retribution. Thus, it is not too far afield to extend this basic Christian belief to believers also being exempted from divine wrath of the Tribulation period as well. In another sense, pretribulationalism does not teach escapism since it conveys the notion that the believer remains a candidate for other forms of wrath besides divine wrath. For example, believers remain candidates for the ordinary trials of life (Jas. 1:2-4). In John 16:33, Jesus said, "In the world you have tribulation, but take courage; I have overcome the world." Moreover, believers are also not exempted from the wrath of man. This point is clarified in 2 Timothy 3:12, which says, "Indeed, all who desire to live godly in Christ Jesus will be persecuted." Nor is the Christian also exempted from Satan's wrath. To the church at Smyrna Christ said, "Do not fear what you are about to suffer. Behold, the devil is about to cast some of you into prison, so that you will be tested, and you will have tribulation for ten days. Be faithful until death, and I will give you the crown of life" (Rev. 2:10). Believers are obviously targets of Satanic wrath since we regularly struggle, "...not against flesh and blood, but against the rulers, against the powers, against the world forces of this darkness, against the spiritual forces of wickedness in the heavenly places" (Eph. 6:12). In addition, believers are not spared from the wrath of the world system. Jesus explained, "If the world hates you, you know that it has hated Me before it hated you. If you were of the world, the world would love its own; but because you are not of the world, but I chose you out of the world, because of this the world hates you" (John 15:18-19). However, it remains a biblical truism that while Christians are not spared from these other forms of wrath, they will be spared from divine wrath. Thus, although trials as well as the wrath of man, Satan, and the world are an ongoing reality for Christians, they will have no part in divine wrath. Although trials (little "t") are a daily reality, we are not candidates for the Trial (capital "T"). While Jesus never promised the Church at Philadelphia an exemption from tests (little "t"), He did promise them an exemption from the Test (capital "T") that is coming upon the whole earth, known as the Great Tribulation period. Thus, it is a mischaracterization to label pretribulationalism as merely "escapist theology." In sum, having previously answered the question, "what is the rapture? ", we noted the first three of at least seven reasons that affirm the pretribulational rapture view. The first reason is that the Tribulation's ultimate purpose concerns Israel rather than the church. The second reason relates to the concept of the missing church not only from Revelation 4–22, but also from all central and critical Tribulation texts. The third reason is that the church has been promised an exemption from divine wrath. Robert L. Thomas, Revelation 1–7: An Exegetical Commentary , ed. Kenneth Barker (Chicago: Moody, 1992), 457-58. Ron Rhodes, The End Times in Chronological Order: A Complete Overview to Understanding Bible Prophecy , vol. Eugene, OR (Harvest, 2012), 42.